Estas bibliotecas pueden adquirirse por separado o todas juntas en un lote con un importante ahorro. Electrical – IEC, NFPA library possesses symbols which were prepared in accordance with EN 60617 and NFPA 79 standards. NFPA (vertical symbols – 1L, 2L, 3L, terminals, others; horizontal symbols – 1L, 2L, 3L, terminals, marks, others). 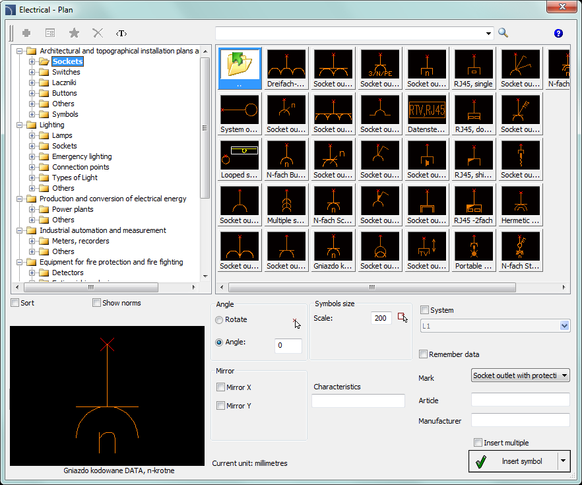 Electrical – Plan library possesses symbols of electrical installations that are used on architectural plans. equipment used in house (home electrical, audio-tv, PC, timers, sound recording and playback, headers, others). 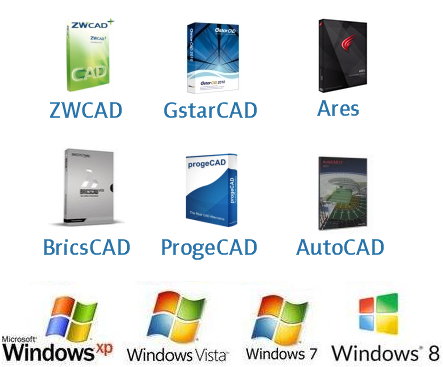 architectural and topographical installation plans and diagrams. 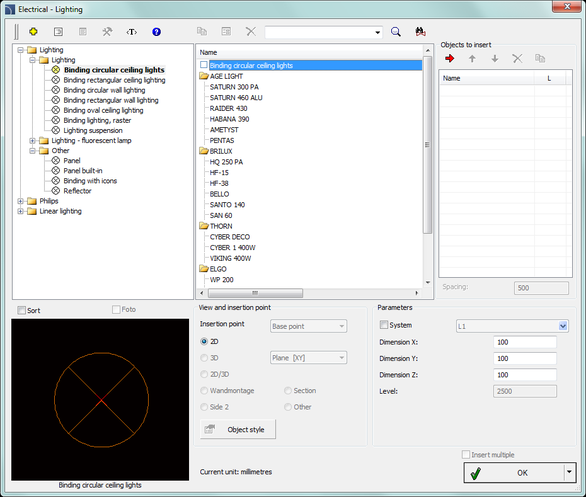 Electrical – Lighting library possesses a database of lighting fixtures. 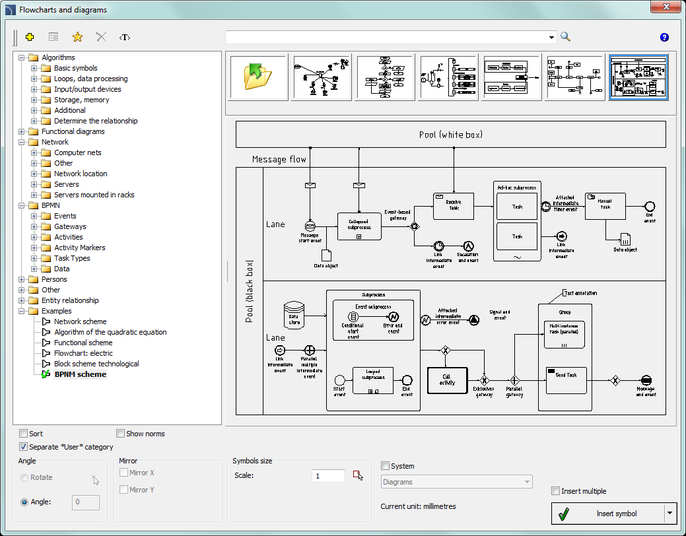 Flowcharts and diagrams library contains symbols that are used in block schemes in many branches. examples (network scheme, algorithm of the quadratic equation, functional scheme, flowchart: electric, block scheme technological, BPMN scheme). Lines (pipes, ducts, cables) – this function allows to draw single-line lines in a schematic view. 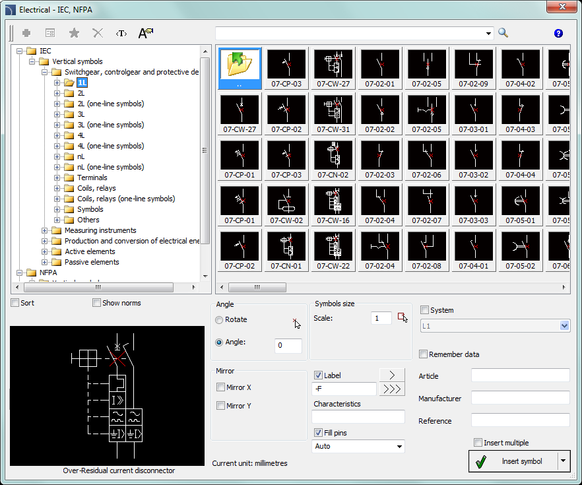 Frames and tables – contains a library of basic frames and drawing tables. 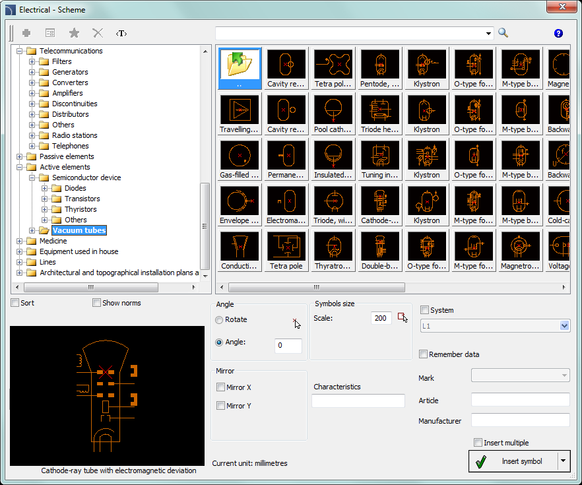 Attributes and descriptions – is used to edit attribute values of one or many symbols. 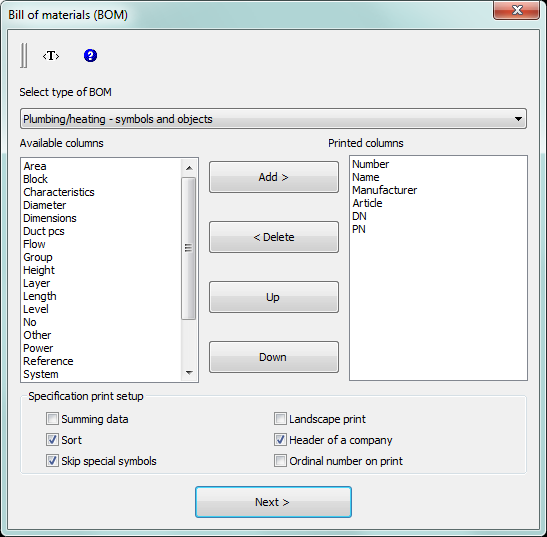 Bill of materials – is used to create specifications from elements used in the drawing.